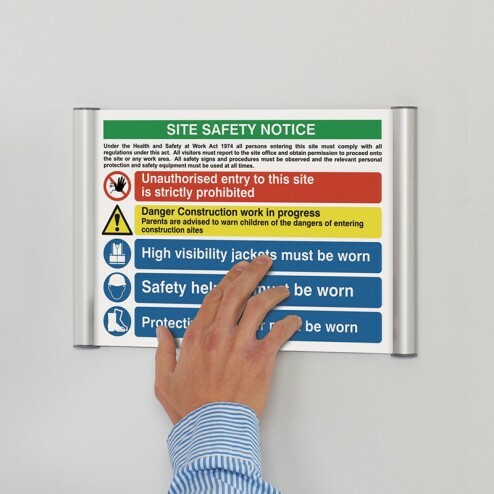 Can be used for displaying directions, names, office locations, notices, opening hours etc. 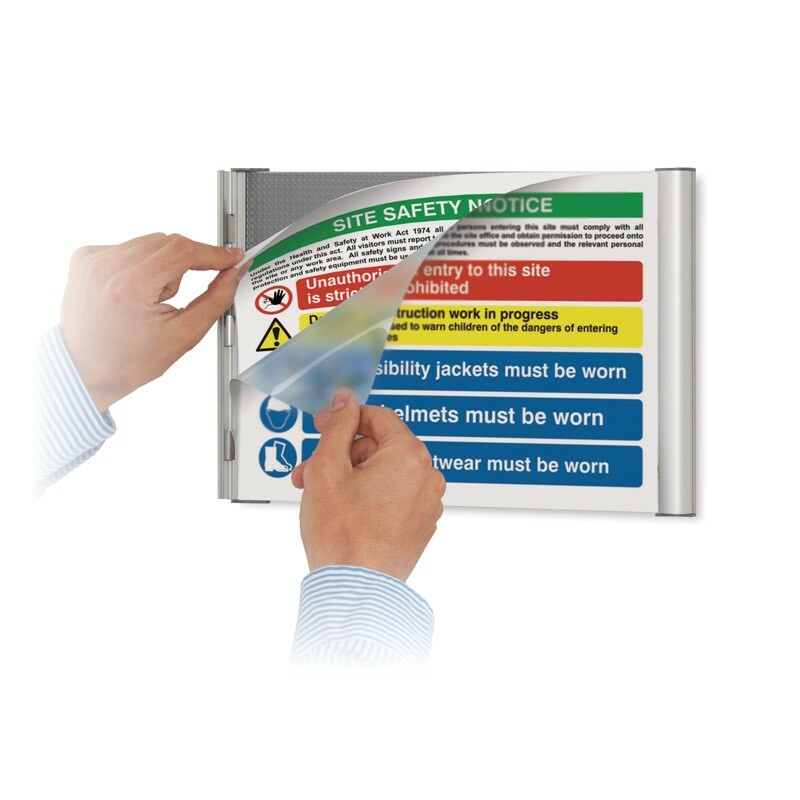 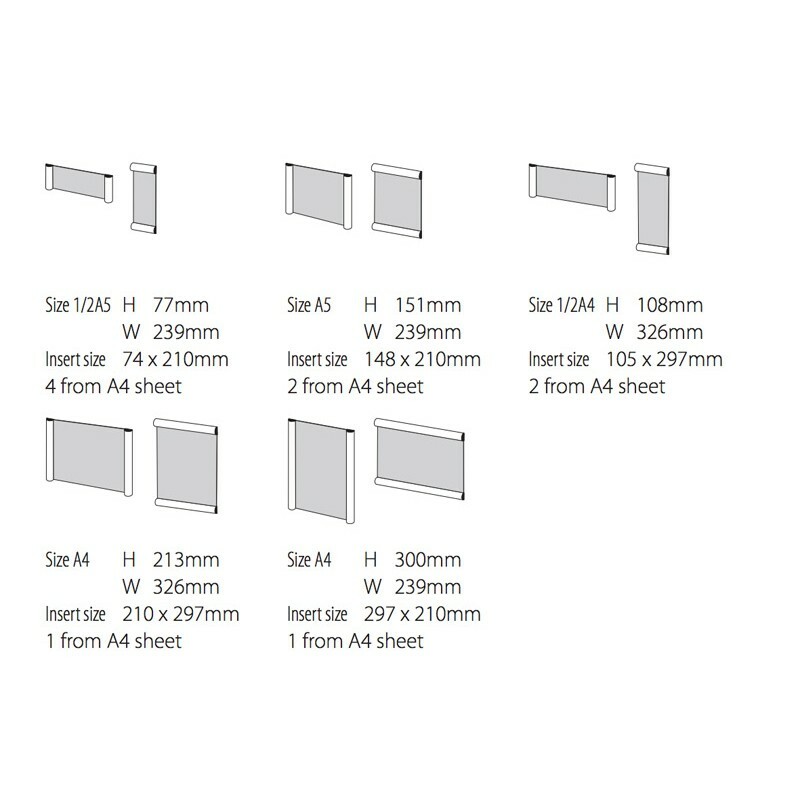 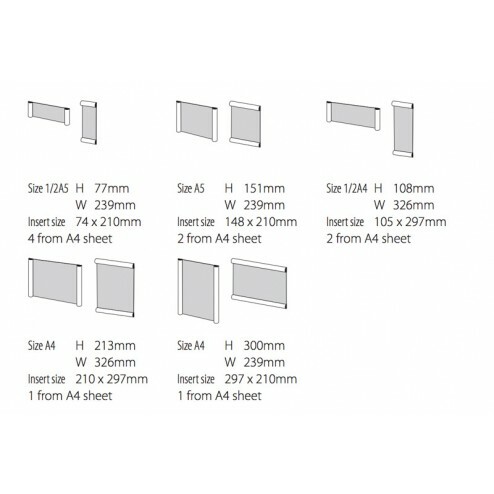 This modern signage system comes in 5 different sizes which are all sub-divisions of an A4 paper, meaning you can print your own replacement graphics quickly and easily. A handy fixing kit is also included within the package. 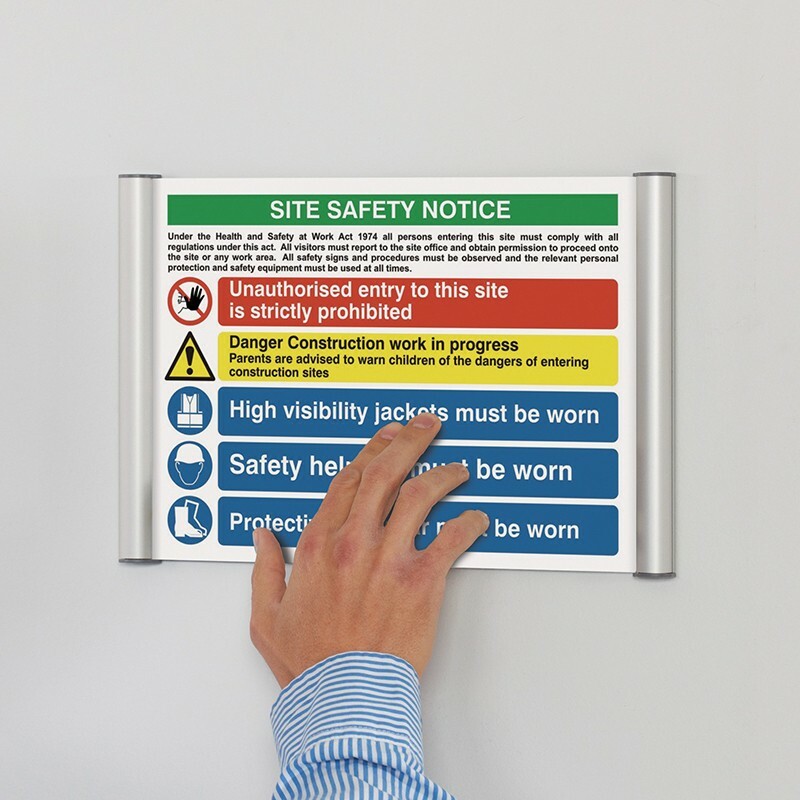 This Wall Mounted Office Signage System can be used for displaying directions, names, office locations, notices, opening hours etc. 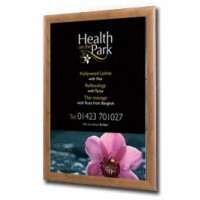 Just print your sign or content and place it in the frame under seconds due to click frame design.